What a stunning photo! Wow ..
Congratulations on this beautiful photo. Stunning! I want to build a hut with this view. Very serene. You’re in a lovely area. I like these calm early mornings and yes am very lucky I get to see what I do. This is a very fine photo – of a lovely spot. And those clouds reflecting in the water looks great – and funny! Hello and thank you – glad you found it funny! Absolutely stunning and I find the slight dusting of frost on the paddocks surprising and delicate like the rest of the image. Beautiful shot here Lisa – certainly in the right place at the right time. Yes, starting work so early does have it’s bonuses! Apologies for late reply! 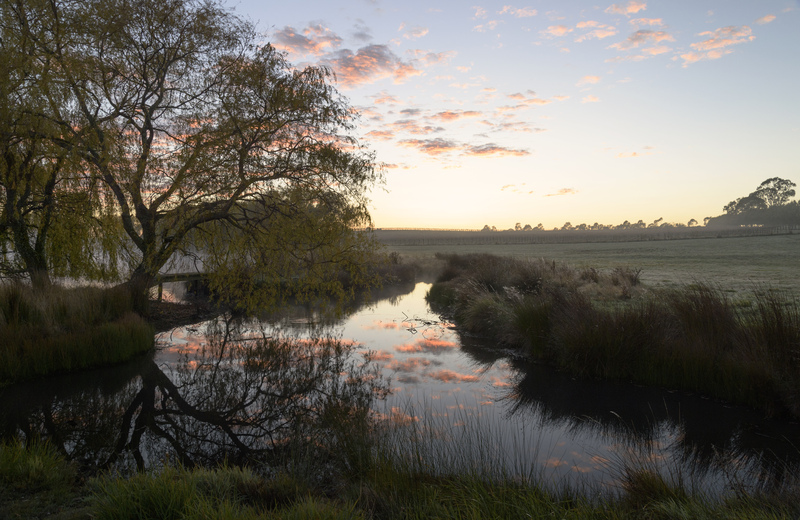 A most picturesque autumn morning…captured perfectly! Thank you as always – I will be emailing you in next day or two!